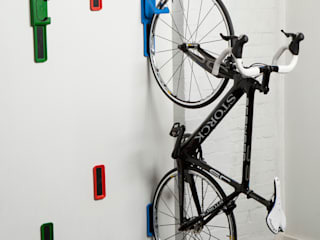 cycloc is the global leader for stylish bike storage. Although the first commercial Cycloc product was produced in 2006, it was actually developed several years earlier by company founder Andrew Lang to satisfy a personal need for storing bicycles at home. A professional industrial designer and keen amateur cyclist, Andrew’s bicycle collection was booby-trapping his London apartment. As an appropriate solution could not be found, Andrew designed his own. Andrew has not stopped there and now cycloc have a family of five contemporary bike storage products. Our products offer smart, simple, cycle storage to suit all bike styles. 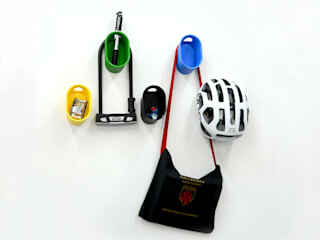 They are the ideal solution for displaying and storing bikes in the home, office and retail settings.